Jewelry-making is an art form that really has no rules. You can essentially make anything your own by adhering to a few simple methods and incorporating your own personal style and design. One of the easiest ways to add extra charm to your handmade jewelry is with capped tassels. This timeless technique can be used to make all sorts of jewelry pieces that can range from sophisticated and chic to fun and flirty. Capped tassels are essentially pieces of nylon or thread that are attached to a cap that can be used to make necklaces, bracelets or earrings. The cap gives the tassels a professional finished look suitable for any occasion. Take a look at the many looks you can create with a capped tassel. Here we have a gorgeous necklace that includes tasteful beadwork and a beautiful feather pendent. The tassel is a bold embellishment that really takes this piece from ordinary to extraordinary. The simplicity of this chain is timeless. However, the addition of the tassels make this necklace take on a more unique look without sacrificing the classic quality. The beadwork here is absolutely stunning, but who needs another basic bracelet? That's where the tassel comes in. 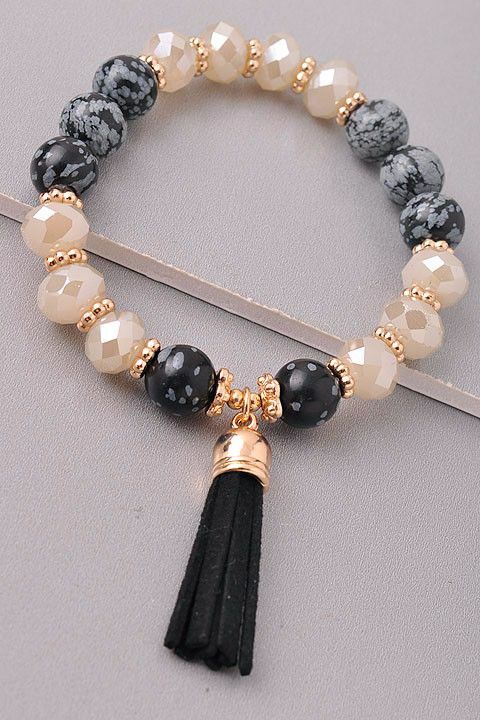 The simple black tassel combined with the gold clasp makes this piece exquisite, transforming this piece into an excellent choice for a fancy dinner or other special event. If you are looking for statement earrings, this is it. Many people wear dangles, but this look is completely different. The multiple tassels combined wit a gold chains make this piece totally stand out. Ready to make your own? Let's take a look at a tutorial that will help you create any of the designs here. There are two ways that are proven to make beautiful tassels. The first method is brought to us by Made in a Day. She uses a purchased eye pin and nylon thread to create the tassels. 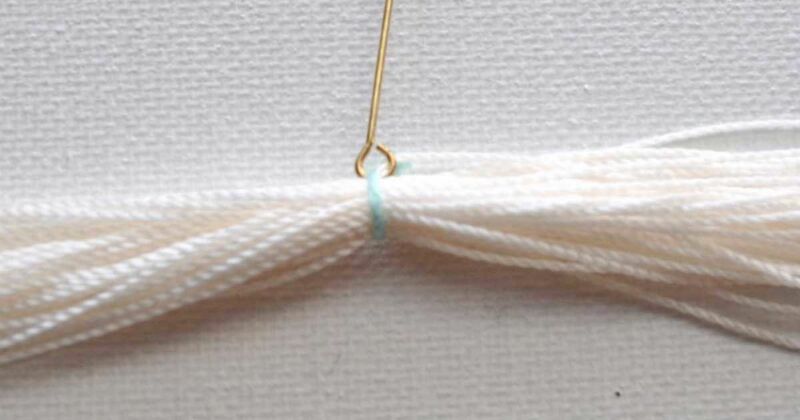 The blog indicates that embroidery thread is an option, but is more likely to tangle. You'll need pliers and glue to finish off the look and be sure to trim the tassel so it's the appropriate length for your jewelry needs. The second method is described in the video by The O'Neil Sisters. It's a similar idea, but instead of using an eye pin, you use wire and a jump ring. The cap can fit more snuggly around the tassel with the wire method, but the eye pin would be recommended if beading other stones with the tassel. Whichever method you choose, one thing is for certain: your jewelry will definitely be a showstopper! Try it out and share this idea with your friends. The key here is to go for bling -- beads that sparkle and catch the eye are perfect for this project!